Toronto real estate sales are down, but what price range and type? Remax published pieced showing that sales in the Toronto luxury condo market are up a whopping 85%… but excluded the month of August, using just seven months. A little strange, since they’re a brokerage with access to the latest data. The Toronto Real Estate Board (TREB) has finalized August numbers for almost a month now. Ever so helpful we are, we pulled August sales by price range to help them out. Toronto real estate sales were down in the million plus range in August. TREB reported 965 sales over a million dollars, down 37.66% from the same month last year. This was due mostly due to soft demand in the detached market, where sales above a million are down a 42.67%. Condo apartments over a million on the other hand, showed a slight gain in this price range, increasing 11.11% from last year. Worth noting that was only 70 condos however, about 3.5% of all condo sales. 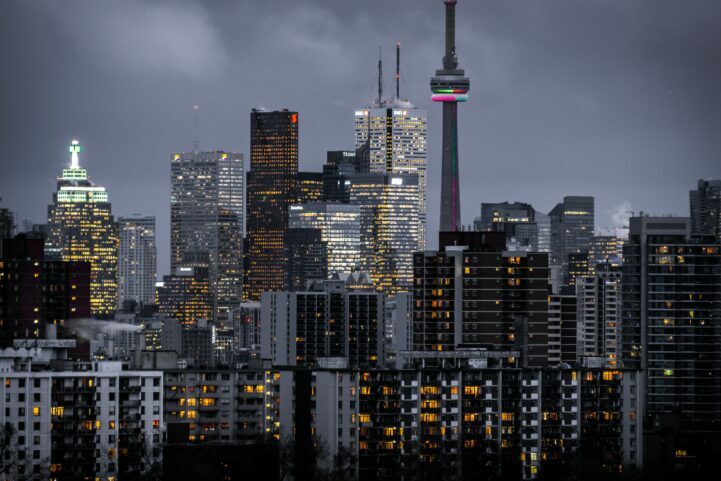 Sales under a million also showed big declines across the GTA. There were 1,780 detached sales in this price range, a 41.77% decline from the same month last year. Condo apartments did a little better with 1,926 sales, down 29.26%. Declining sales in both of these sectors would typically just be chalked up to declining inventory. Normal market mechanics dictate that as prices climb, inventory drops. Paradoxically inventory isn’t dropping all that much in Toronto. There’s more buyer selection of detached homes, and a little less condos than last year. Detached and condo apartments combined showed 12,808 active listings in August, up 54.68%. Breaking that down, TREB reported 9,215 active detached listings at month end. This is up 117.48% when compared to the same month last year. Condos on the other hand, had 3,953 active listings at month end. That’s actually a decline of 11.13% from the same time last year. The decline in condo inventory softens the decline in sales, but sales still dropped faster than inventory. The back half of 2017 is going to be very different from the first half. Be careful how numbers get thrown at you if you’re an investor. In the first half of 1999, investment grade Beanie Babies were up 2,400%. In the back half of 1999, they were worth less than the purchase price, retaining just 4% of their value. That’s an extreme example, and lucky for most, homes retain value better than Beanie Babies. However the takeaway is the same. Assets bought with disregard for historic data for price discovery on the way up, typically disregard historic data on the way down. Yes, inb4 ‘GAH!’…this is not our friend ‘Go away hipsters!’ but I will hijack his screen name! I will forego the yuppie/JWS/Hipster bashing and the rest of the nonsense. Good article as always. The value of this site is the constant updating; don’t take one report/article at face value but review everything and make up your own minds!